The EuroSys 2012 page is online and can be found here. EuroSys 2011 is organized by EuroSys, the European Chapter of SIGOPS, sponsored by ACM SIGOPS. The EuroSys conference series brings together professionals from academia and industry. It has a strong focus on systems research and development: operating systems, data base systems, real-time systems and middleware for networked, distributed, parallel, or embedded computing systems. EuroSys has become a premier forum for discussing various issues of systems software research and development, including implications related to hardware and applications. EuroSys 2011 will follow the pattern established by the previous EuroSys conferences, by seeking papers on all aspects of computer systems. EuroSys 2011 will also include a number of workshops to allow junior and senior members of the systems community to explore leading-edge topics and ideas before they are presented at a conference. The main conference site is the Aula of the University of Salzburg. 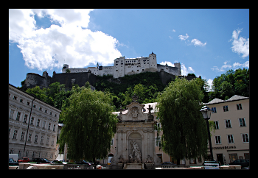 The Aula is located in the pedestrians-only historic city center of Salzburg across the street of the world-famous Festspielhaus. All major attractions of the old town as well as many restaurants and cafes are within walking distance. 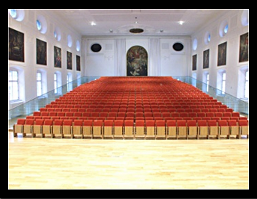 The Aula is a modern conference hall seating up to 540 people. The workshop site is the Faculty of Law of the University of Salzburg just around the corner of the main conference site. The reception will be held at the “Neue Residenz”, which is a recently renovated 400- year old building within walking distance of the workshop site. If you would like to include a link to EuroSys 2011 on your web page, please feel free to use one of the banners provided below. [03 May 11] Etienne Riviere has some nice photos from Salzburg and the conference here. [19 Apr 11] Talk slides are online. [14 Apr 11] The EuroSys 2012 page is online and can be found here. [11 Apr 11] Photos from the conference are available here. [07 Apr 11] Posters are online. [02 Mar 11] Conference program is online. [15 Feb 11] Grants site is online. 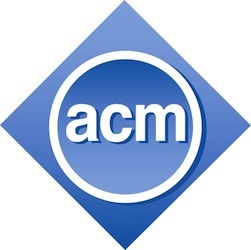 [11 Feb 11] List of accepted papers is online. [24 Jan 11] Call for Posters and Demos online. [22 Jan 11] Venue, accommodation, and travel information sites are online. [07 Jan 11] Registration site is online. [07 Dec 10] Tutorials site online. [17 Nov 10] Workshops site online. [11 Oct 10] Paper submission closed. [07 Sept 10] Pre-submissions open. [02 Sept 10] Call for tutorials added. [18 Jul 10] Call for workshop proposals added. [20 May 10] Calendar of events and deadlines added. [10 May 10] Call for papers added. [26 Mar 10] The new site is online. More information and material will be added soon.